Paid Family Medical Leave Act update. Massachusetts’ landmark 2018 Paid Family Medical Leave (PFML) law Paid establishes a system for paid family leave of up to 12 weeks to care for a family member, and up to 20 weeks for employees’ own illness. Beginning in 2019, employers pay a tax assessment to fund the leave, and leave will be available to employees beginning in 2021. In March 2019, state regulators issued draft proposed regulations that will be finalized later in 2019. 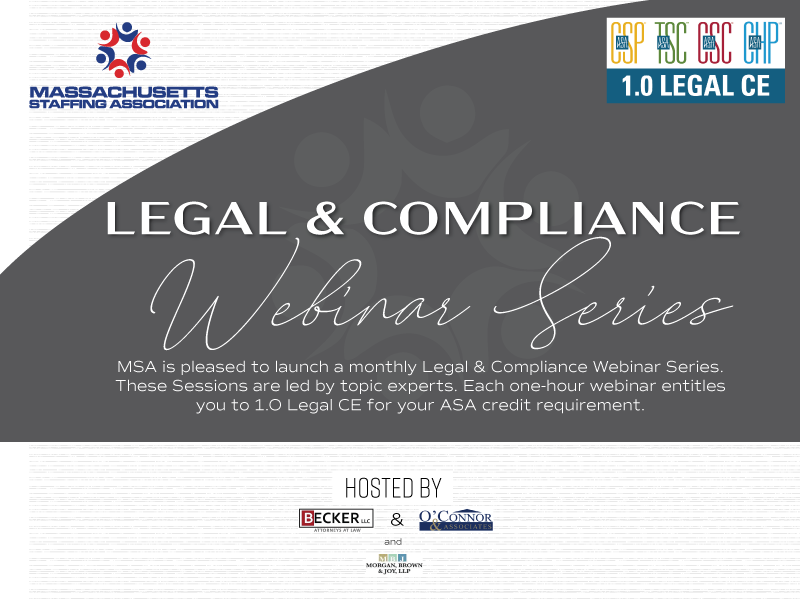 The seminar will provide an overview of the law, employee rights and obligations, and the latest on the interpretive guidance detailed in new state regulations.